I want so desperately to up my game where flower design is concerned. I’ve taken a few classes, even worked with a master florist at a local country club…but I’m still just too shy to get past a toe in the water. I really feel that the centerpiece makes the table. You can use the same dishes, flatware, etc. over and over again, but what makes it all look strikingly different is the centerpiece. I don’t always use flowers, but when I do, I want them to really rock. 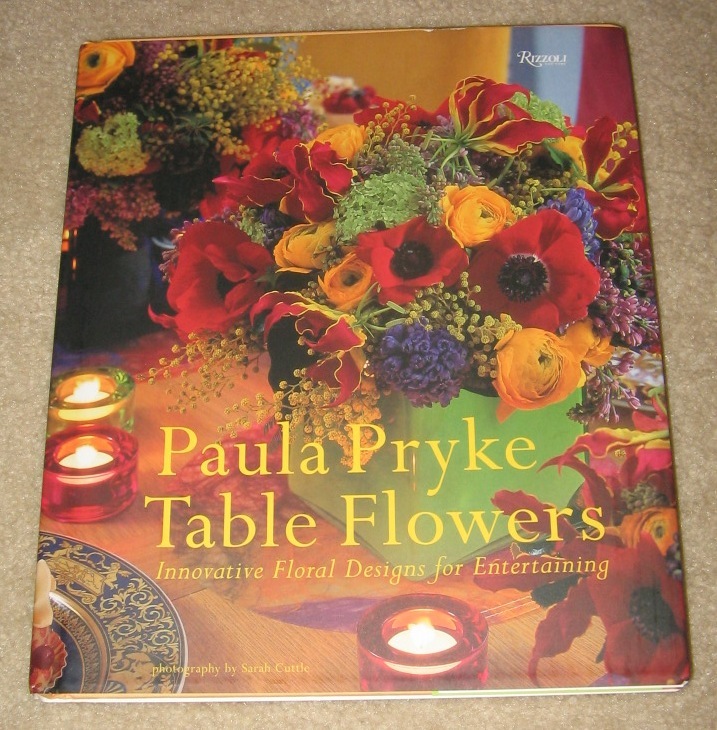 Paula Pryke makes flowers rock, and this is the book that proves it! 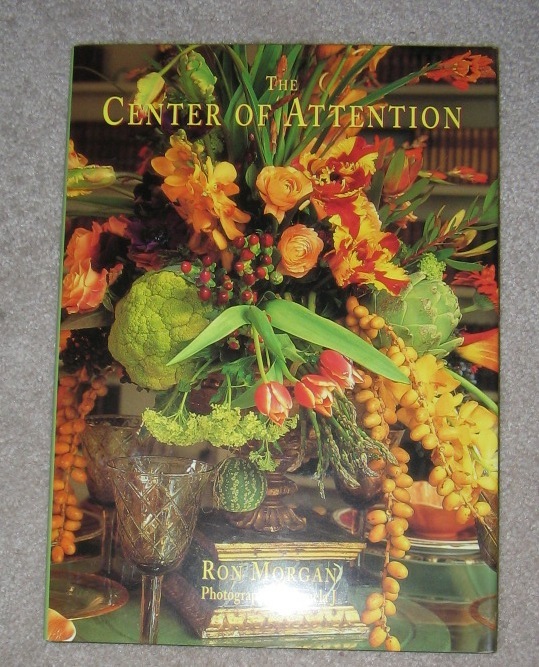 Because this installment (Paula has written several amazing books) mostly contains arrangements suitable for personal entertaining, it is a must have for tablescapers!!! I bought it for just $30 at amazon.com. This is the kind of book that just makes me wanna smack somebody! It is that good!!!! Yes, the florals are waaaa-a-a-aa-ay over the top. Yes, the designs are totally unabandoned. Yes, it would cost an arm and a leg to recreate these as seen. BUT….the inspiration is so undeniable!!! You’re not out to copy anyone’s work stem for stem anyway, so just soak up the look, the feel, the punch in the gut the glorious photographs deliver, and then get your hips in there and start creating something beautiful!!! Preston Bailey can bedazzle a room like no one else can with his (literally!) larger-than-life creations, but you can create miniature versions to wow your guests! Consider the elements used in the designs and how you might incorporate them into your own interpretation. The table settings are divine, too!!! I bought this baby a few months ago for just $23 on Amazon. com. Worth that and more!!! I have bookmarked nearly half the pages in this wonderful tutorial by Denise Vivaldo that primarily covers the art of napkin folding for all occasions. Illustrated step-by-step instructions allow the reader to easily create any one of many folds from beginner to advanced levels. This book is currently available on Amazon.com for about $23. Happy folding! 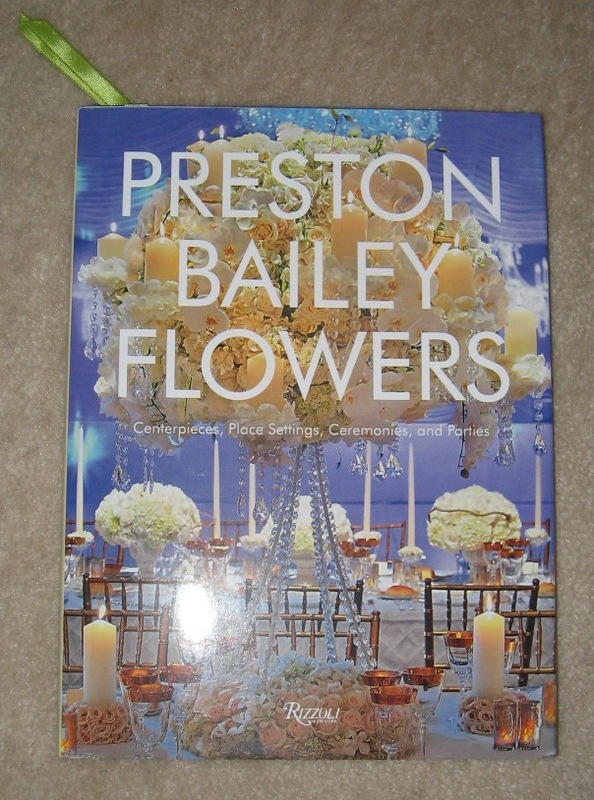 I currently own 6 in this series of fabulous books that showcase the talents of floral and ambience designers from various cities around the country. With Georgia, New England, New York, Southern California, South Florida, and Chicago & the Greater Midwest (which features friends and former colleagues!) already in my library, I have 2 more on order (Washington, D.C. and Southwest) which will complete my collection. My hunger for what these books offer, however, might possibly never be satiated. Even though I have turned my attention to more intimate dinner parties, the ideas in these books offer incredible inspiration and can be easily adapted to at-home entertaining scenarios. Available through Amazon.com, these are really affordable at $30 each and worth it for the generous contents! This one is kind of an oldie (2005), but a goodie. For such a tiny little book (only 64 pages! ), it sure packs a wallop. Lots of great ideas and inspirations! 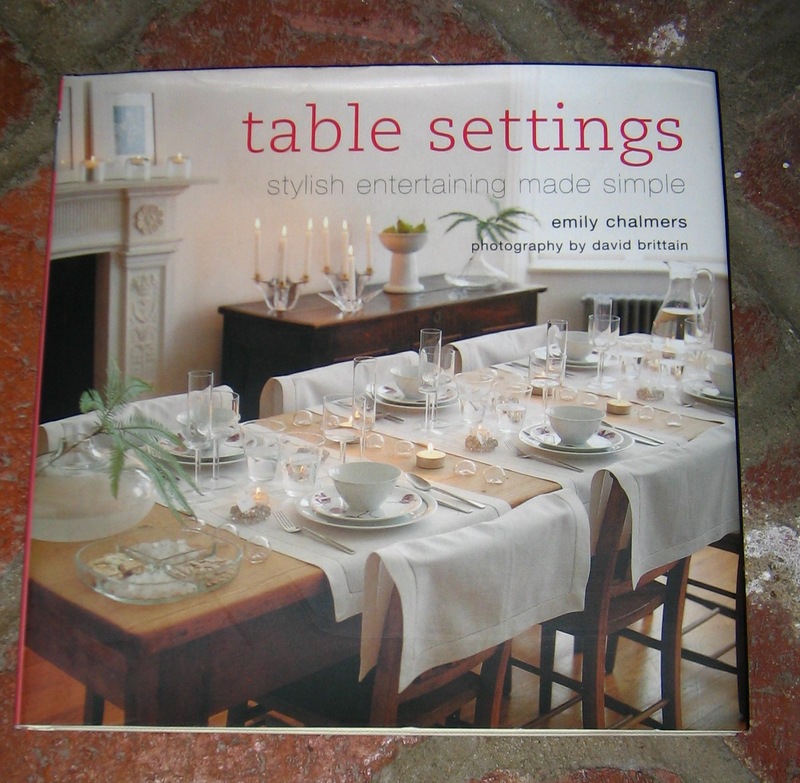 Bonus: toward the end of the book are the proper table settings for several informal and formal settings. Want lush, lavish, luxurious? This is a book that offers all that and more! 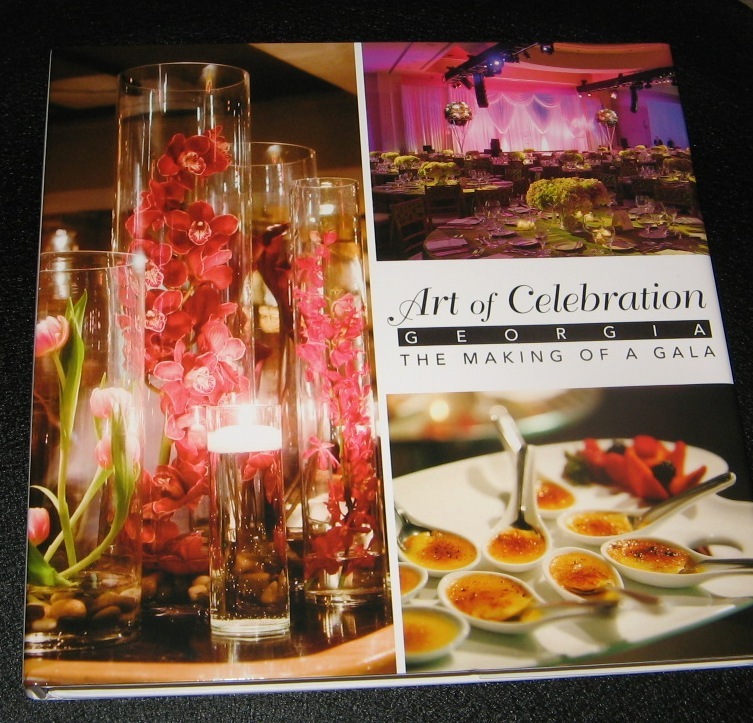 Kimberley Schlegel’s book, “The Pleasure of Your Company – Entertaining in High Style”, is a visual pleasure! While she has a very extensive budget to work with, a lot of the principles are adaptable to more modest purses. This book is sort of what the title implies: it’s high-falutin’ “potluck” on famed Park Avenue hosted by some of its toniest residents. The recipes are wonderful, the photography is great, and the ideas behind the parties thrown are often unique. The book can be purchased directly through The Society of Memorial Sloan-Kettering Cancer Center which is the beneficiary of the proceeds or through Amazon. Who says potluck has to be all about tuna casserole and 4-bean salad? I have been a Colin Cowie fan for years. With that fabulously lilting South African accent, he had me at hello! Beyond the mesmerizing voice and the classic good looks, Colin Cowie has an incredible talent that cannot be denied. He is the quintessential host, too, creating parties that are to be envied. He has several books out including “Weddings“, “Extraordinary Weddings”, and “Wedding Chic” which all offer fabulous advice along with detailed photos. 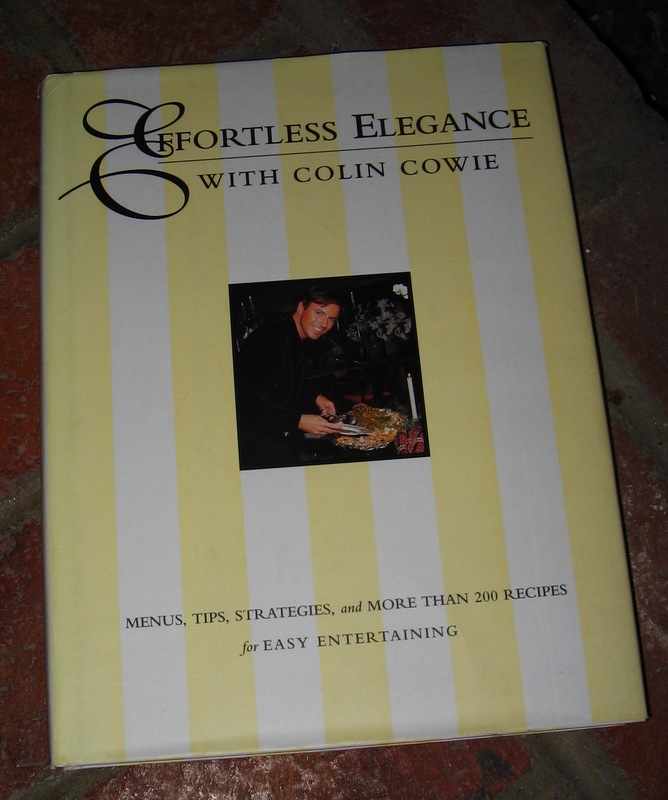 One that I find invaluable for entertaining at home, though, is “Effortless Elegance” which overflows with menus, recipes, helpful tips and lots of wonderful photos. I tab books as I read them so that I can go back to the best ideas. Every time I go back through this book, I tab a few more pages. It’s that good! Mark Held and Richard David do absolutely incredible work throughout! Some of the creations are a bit over-the-top, but there’s always a way to tone it down if you don’t want to take it that far. I recommend this book for everyone’s creative library! 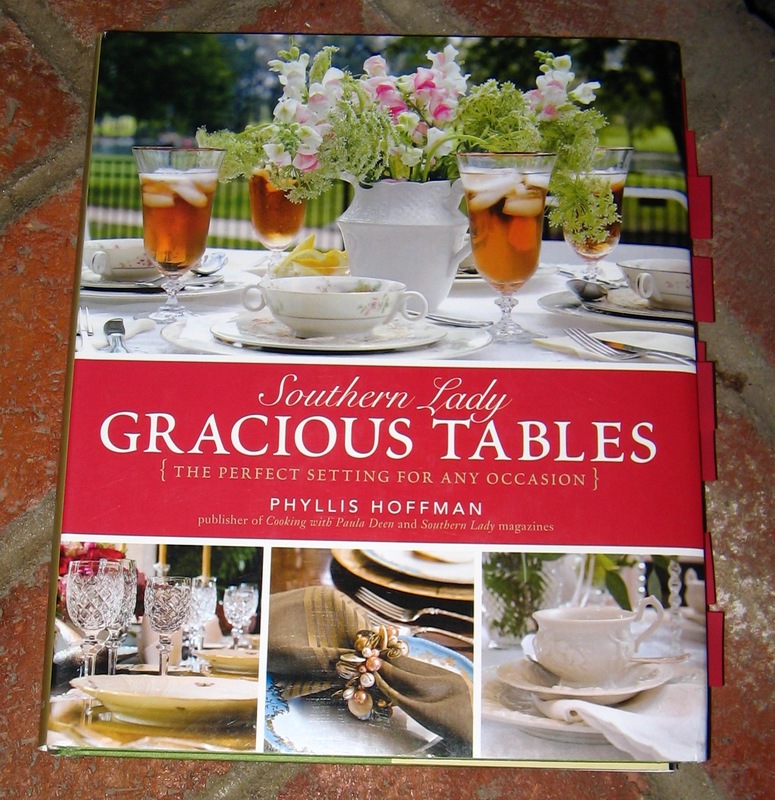 When I think of Southern hospitality and grace, I think of Phyllis Hoffman-DePiano and her fabulous book, Gracious Tables. This is a book I turn to over and over again for inspiration and ideas. After all, who knows about Southern hospitality more than a Southern lady? For year-round fun, I subscribe to Hoffman-DePiano’s magazine Celebrate which is cover-to-cover nourishment for the creative soul. This is one of those books that is just chock full of wonderful ideas and inspiration through all the fabulous photographs! 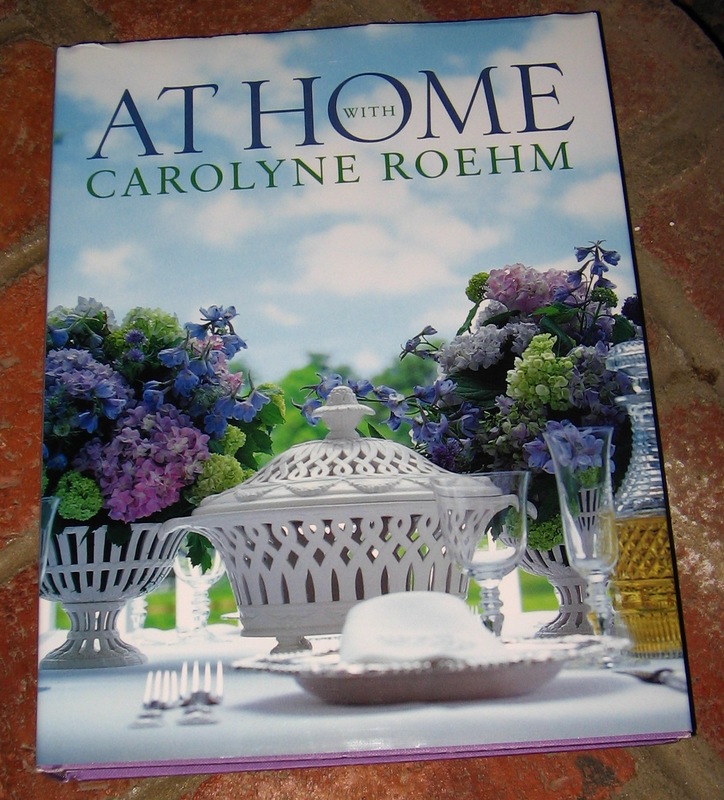 Carolyne Roehm really knows how to entertain and decorate, and her good taste makes her one of my very favorites! When it comes to napkins, I more often than not go with a simple fold or slip on a decorative ring. 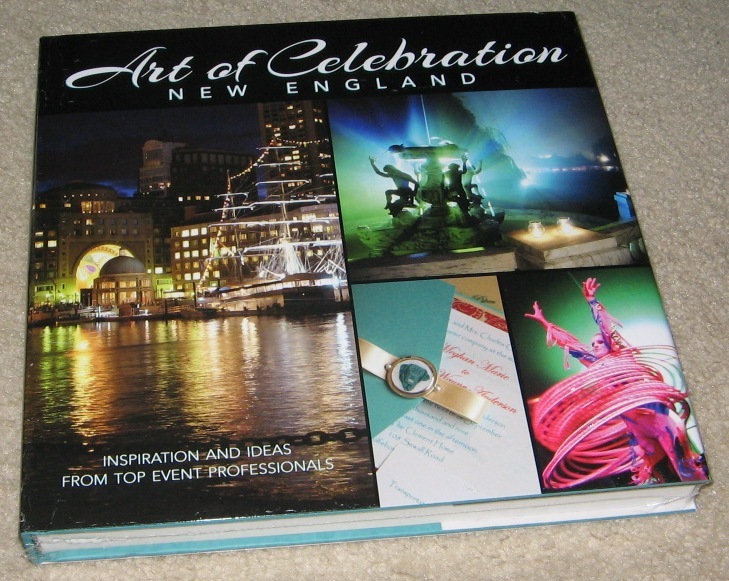 This great 2006 how-to book by David Stark has changed all that! It’s fun flipping through the book with a sample napkin close at hand just to give the folds a try. The designs range from very simple to extremely complex, but my goal is to use all of them within the next two years! When this book first arrived on my doorstep, I was giddy with excitement. I ripped open the box (breaking 2 fingernails) and marveled at the unusually cushy book cover. I began to flip through the first pages and suddenly lost my zeal. What on earth was going here? What’s with all the outrageous pattern? And why does every table have not one, but several ornate cups holding cigarettes??? I tossed the book in a library chair and left it there for two days. When I picked it up again – determined to read through it since I had just forked over a small fortune for it – I was in for a huge surprise. While stylist Alberto Pinto does have a very different (read European) style, after a few pages the whole thing just kind of grew on me. I lightened up a little, decided not to take it all too literally, and before I knew it I was enjoying the quirky, highly stylized tablescapes that define Mr. Pinto. If you like different, give this one a try! 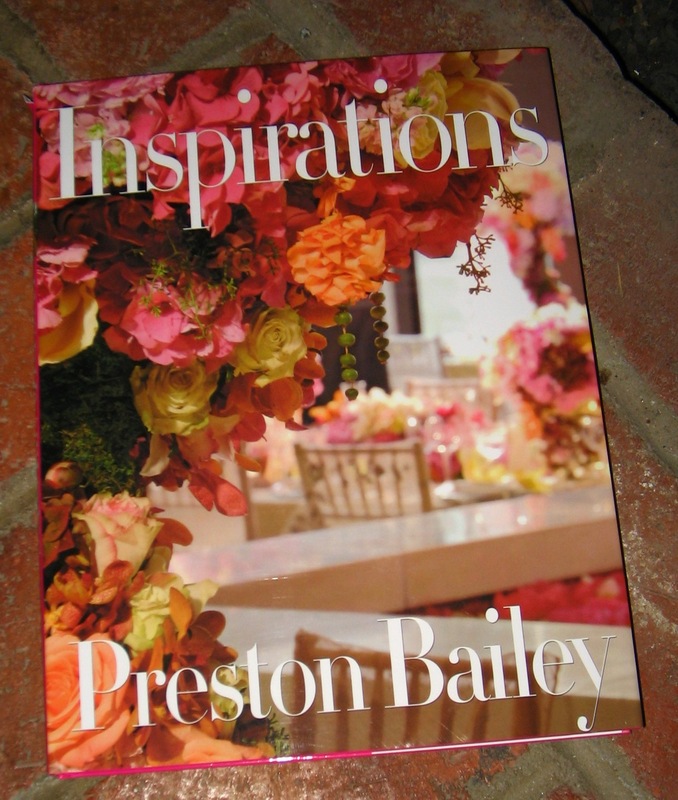 I have long been a fan of Preston Bailey’s over-the-top, floral overdosed creations. Few of us “regular folk” could (or would want to!) construct an 8-ft. baby elephant floral centerpiece for an at-home dinner party tablescape, but it’s the idea behind the style that is such an inspiration. Overflowing with ideas that can be scaled to more modest spaces, skill levels and budgets, this is a “must have” book. It’s at less than half the original selling price on amazon.com right now! Click on the resource link to your right to order! It’s such a tiny book! Size doesn’t matter in this case, as Joe Nye packs in plenty of fabulous information and ideas along with wonderful photos. 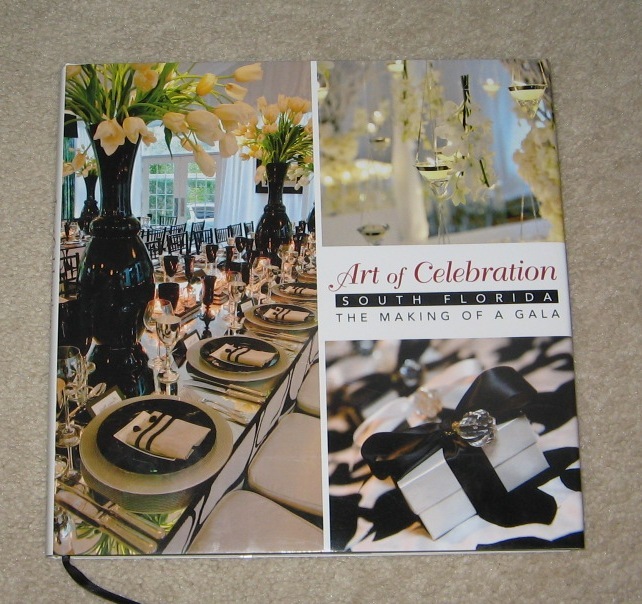 One of the most inspirational books I have found for fabulous tablescapes is “Passion for Parties” by Carolyne Roehm. Her taste in tabletop design is unprecedented. While Carolyne has much deeper pockets for home entertaining than some of us may have, her sense of style is classic, flawless, and makes me want to do better on my paltry budget! 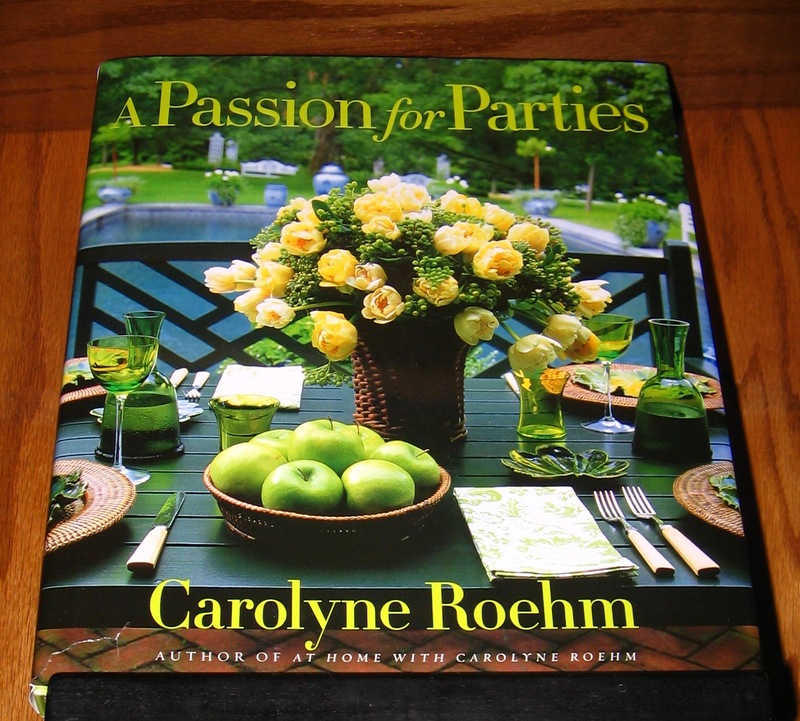 To order Carolyne Roehm’s “Passion for Parties”, just go to Amazon.com! Believe me…it’s worth every penny!!! No fair! You hooked me with the link at the top of your blog, “Books that make you go ooh,” and now, not only did I actually, REALLY, say “Ooh,” but I want ALL of them!